NEW UPDATED WEBSITE COMING SOON! NEW UPDATED WEBSITE COMING SOON - PLEASE COME BACK !!!! website has not been updated in over 5 years, BUT THE DONATE BUTTON DOES WORK!! 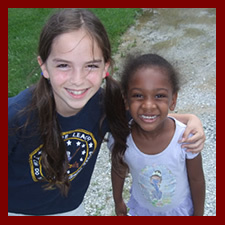 Video of Recent Events, Prayer Requests, Volunteer Opportunities, Devotionals - Updated Often! PARTNER NOW - no amount too small - even $3 a month makes a difference! Christ Cares Fall Newsletter 2912, pg 1 Christ Cares Fall Newsletter 2912, pg 2 You may print this newsletter - "print" button along top - or email it by clicking on "share". OUR DIRECTOR, SCOTT REESE HAS BEEN SHARING GOD'S LOVE IN WORD AND DEED IN URBAN AREAS FOR OVER 30 YEARS. One person can only do so much - we are in need of volunteers. CHRIST CARES invests time in training and developing leaders to continue the ministry to the next generation. "Pastor Scott" also invests time encouraging and helping urban ministers and ministries. 2. RECONCILIATION AND RESOURCING MINISTRY. OUR DIRECTOR (& ONLY FULL TIME EMPLOYEE) HAS A UNIQUE HISTORY AND CALLING. Scott Reese has over 30 years of cross cultural ministry experience. He also has served as the Founding Pastor of a primarily African American congregation for about 18 years and also has been preaching at a Chinese Church on a regular basis for over 20 years. It is our desire to use this vast experience to help churches address racial and cultural issues. CHRIST CARES PROMOTES RECONCILIATION, COMMUNICATION, and COLLABORATION within the BODY OF CHRIST. We believe that every member of the Body of Christ is of the utmost importance and that "the hand cannot say to the foot, I have no need of thee." We believe that Christians can be enriched by connecting with and learning from Christians with different backgrounds and gifts. IT IS OUR DESIRE TO LINK & EMPOWER BELIEVERS FOR MINISTRY. We believe you (the reader) have unique gifts, talents, interests, life experiences, etc. that can be uniquely used for the kingdom. We want to provide practical ways for you to use your gifts. We believe that Christians should share with those in need. We believe in developing two way relationships between city and suburban churches. Urban churches often need practical resources to help them minister effectively in areas of such economic needs. We also believe that the urban church also has much to offer suburban churches. Christ cares for the nearly 8 billion souls alive today. Christ has called us to share the GOOD NEWS and we believe that the Internet has opened up unprecedented opportunities to share the gospel to this lost world. The Internet has changed society - how people communicate, how they get information, make & communicate with friends, and even how they are entertained. Please take a moment to view the slide presentation on our Internet Ministry page to capture why we are so excited about inspiring YOU to share your faith online. The Links below have additional information on our programs. 1. Develop weekly, monthly, and annual ministry programs & services. 2. Secure and Share RESOURCES. 3. Develop Online Resources and Online Communities to foster CHRIST CARES’ goals. 4. Provide meaningful VOLUNTEER OPPORTUNITIES that EMPOWER MINISTRIES to be more effective. 5. Expand this simple, yet vital mission to other cities. Share - Email this page to a friend or post on your Facebook page | Thanks! when it sees that the BODY OF CHRIST cares"
CHRIST CARES MISSION IS TO PROCLAIM THE GOSPEL AND TO DEMONSTRATE THE LOVE OF GOD IN PRACTICAL WAYS. CHRIST CARES is a Christian 501c3 non profit organization that provides meaningful volunteer opportunities for Christians - this also empowers wonderful ministries. CHRIST CARES promotes reconciliation, communication, and collaboration in the Body of Christ believing that every member of the Body of Christ plays an important role in the Kingdom of God. Christ Cares places an emphasis on Christian volunteer opportunities, resourcing & empowering Bible Believing Ministries. CHRIST CARES proclaims the GOOD NEWS of Romans 5 & John 3:16 that even though we are sinners, unable to save ourselves, God in his infinte mercy provided a way of salvation through the death, burrial, & ressurection of Jesus Christ. Ephesians 2:18 For by grace are you saved through faith, not of works least anyone should boast. Urban Missionary and Web Evangelist Scott Reese, Director. Sign up for our monthly email newsletter - ministry updates, volunteer opportunities, prayer requests, & a devotional study. 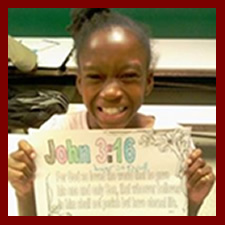 Copyright © 2009 Christ Cares. All Rights Reserved.